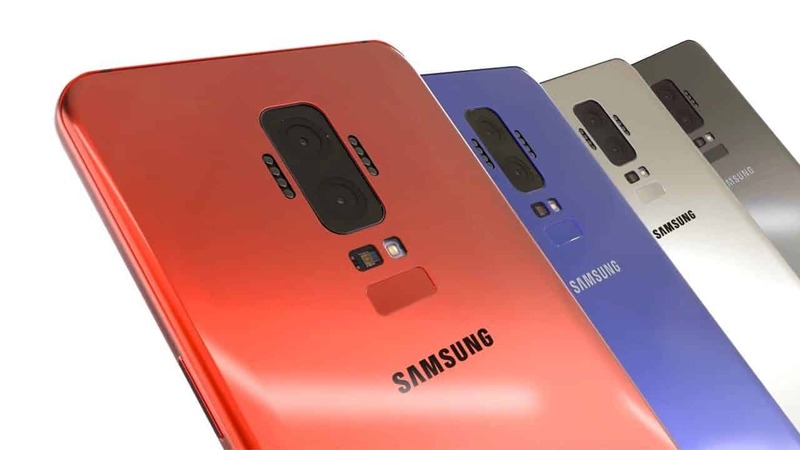 We all are aware that Samsung has already started working on its next year’s premium flagships, Galaxy S9 and Galaxy S9+. While this year saw Samsung release its S8 line-up, the tech giant’s rival Apple too released the iPhone 8, 8 Plus and iPhone X. Though Apple’s premium iPhone X has been the talk of the town since its release this month, Samsung is doing everything possible to see that its next generation S9 flagships steal the thunder. According to Evan Blass of VentureBeat, famous as tipster @evleaks on Twitter, claims that Samsung will be announcing the new Galaxy S9 and Galaxy S9+ at the International Consumer Electronics Show (CES) next year, which is ahead of the company’s usual yearly appearance that normally happens either in late February or March. In the past, Samsung revealed the Galaxy S8 for the first time in March 2017 at their unpacked event. However, this time the company is expected to reveal the devices during the CES event in January and start selling them in March. Going by Blass’s reports, Samsung Galaxy S9 is reportedly codenamed Star 1 with model number SM-G960 and the Galaxy S9+ is said to be codenamed Star 2 that carries the model number SM-G965. These smartphones are expected to feature Super AMOLED “Infinity” display, similar to those seen on their predecessors, Galaxy S8 and S8+, 5.8 inches and 6.2 inches, respectively. The smartphones will come in two variants, one powered by Qualcomm’s upcoming Snapdragon 845 SoC and Samsung’s latest Exynos 9810 chipset. The Galaxy S9+ could offer a dual rear camera and 6GB of RAM, whereas Galaxy S9 might come with a single rear camera and 4GB of RAM. Both smartphones are expected to come with 64GB of in-built internal storage that can be expanded via a microSD card and could retain the 3.5mm audio jack. The new Samsung Galaxy S-Series models are also rumored to have vertically-aligned elements on the back, including a fingerprint scanner on the bottom. Also, the devices could sport AKG stereo speakers and support backwards-compatibility with the DeX docking station.